knowledgeable, professional and reliable advice, services and installation since 1986. 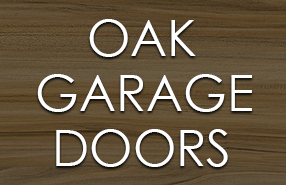 The Garage Door Centre specialises in the supply and install services of bespoke garage doors, ensuring that the most unique requirements can be met and perfection can be achieved. We have worked with an extensive number of materials over the years, and are continuously aspiring to widen and advance the variety of materials we provide, meaning we can work with architects and builders on projects with a whole array of design requirements. 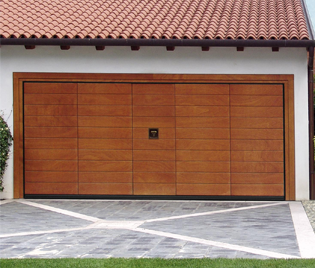 Italian company Breda manufacture various types of garage doors, including products for industrial and domestic environments, however their most impressive asset is their variety of materials used to accentuate the beauty of their design talents. 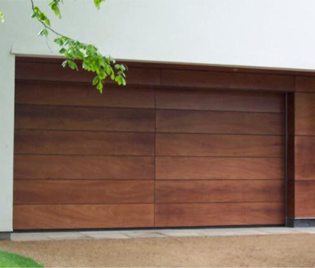 Available as sectional garage doors, Breda doors are manufactured with steel which can then be fitted with an almost endless number of materials, such as timber, stone and metal jewels. 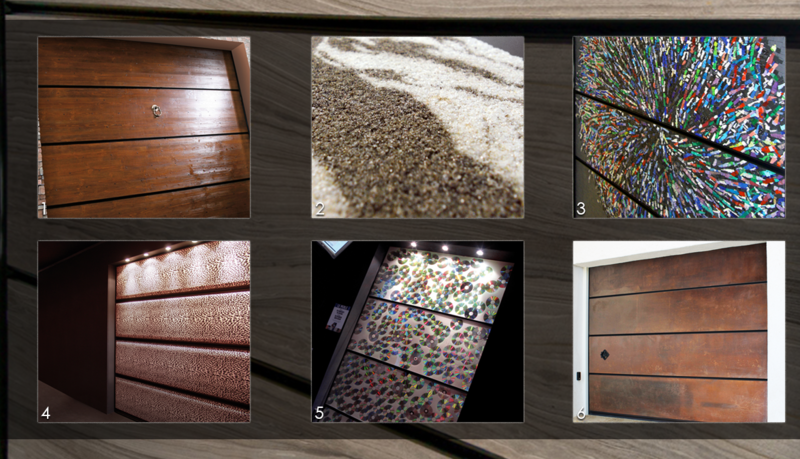 Their sectional doors not only offer insulation, security, and the perks of modern technology, but also the potential for innovative, unique designs and therefore architectural beauty. Such opportunities allow for the perfect designs to match existing external furnishings on domestic properties, in workplaces, retail environments and various commercial spaces. 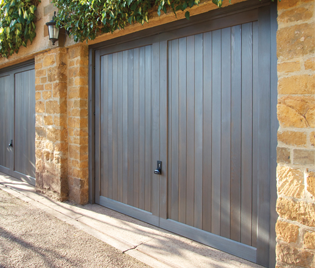 The vast majority of timber garage doors traditionally installed throughout the UK have been manufactured with cedarwood timber, and although this is a fantastic species of timber for many applications, it is important to appreciate the beauty and benefits of various other species available. Many other species of timber that may have been problematic to work with in the past are now easier to install, operate and maintain due to developments in technologies throughout the 21st centuary. 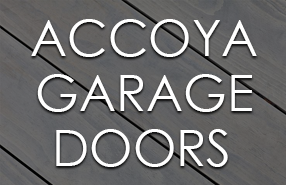 - Accoya: A modern and innovative timber that is perfect for painting, Accoya undergoes the acetlyation process for increased strength and durability. A fantastic species that may well prove to be the future of timber, and one that we truly recommend. - Idigbo: With a similar appearance to oak, yet with a less hefty price tag, Idigbo proves to be a great alternative with its beautiful graining and light weight. - Oak: A timber which has previously caused some difficulties due to its weight, manufacturers such as Silvelox have now adapted their operating systems to adhere to the weight for simple and smooth usage. 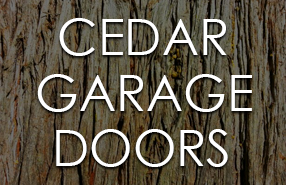 - Cedarwood: The natural oils in cedarwood result in beautiful graining, a level of resistance against decay and suitability for various garage door types. With such extensive options regarding bespoke materials, as well as sizes, applications and features, you may need assitance in your ordering process. If you need guidance at any point, don't hesitate to get in touch with a member of our specialist team who have worked with bespoke installations for many years. 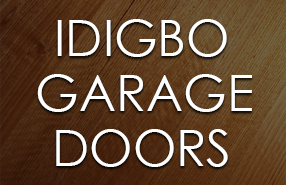 You can e-mail us via enquiries@thegaragedoorcentre.co.uk or give us a call on 01933 229135. FREE Upgrade Tailored to Your Purchase! FREE Colour Upgrade on Carteck Sectional Doors! Please complete all requested fields.